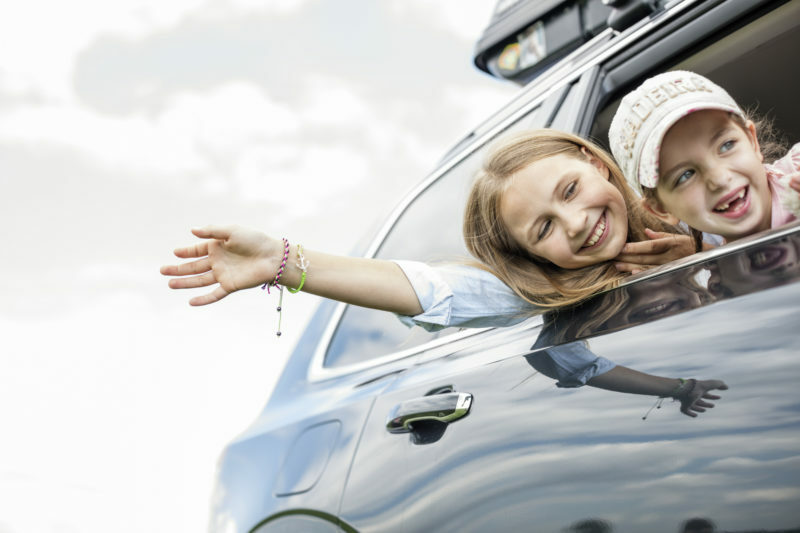 Summer is road trip season—that time of year when parents and kids pile into their respective family vehicles and head out to see the country one mile at a time. While these adventures offer great opportunities for bonding, they also can make kids pretty stir crazy. Here are some pro tips for putting your family in the position to enjoy the ride. Road trips are kaleidoscopes of new cities, new landscapes, and new people. The best way to make sure your kids connect with these foreign experiences is to stop and encourage them to poke around. Stroll through tiny towns. Peruse community museums. Chat up local people. Setting aside at least one-third of your total daily travel itinerary should provide enough time for on-the-ground exploration. Fighting the kids over screen time is a lost cause when you expect them to spend multiple days in the back of a car. Still, it’s a good idea to provide them with other choices. Audio books offer a great opportunity for the entire family to “read” together. Podcasts can be addicting, too. NPR’s “,” with a science focus, is both educational and entertaining. Allow kids to take ownership of the road trip by giving them the opportunity to select at least one activity each day. Not only does this responsibility keep them engaged, but also it forces siblings to work together (bonus!). Kids can research possible attractions en route, either with mobile phone browsers, the AAA app, or old-school maps and guidebooks. keep everybody engaged on long drives, especially when they’re games that everyone—including the driver—can play. Old favorites include 20 questions and the License Plate Game, during which the family works as a team to spot tags from all 50 states. Another winner: First Letter/Last Letter, which requires each player to pick a place that starts with the last letter of the previous selection. It goes without saying that your brood will get hungry on long stretches, but you might not want to avail yourself of gas station snack offerings (translation: junk food). Instead, pack relatively healthy, easy-to-eat foods that will satisfy kids’ palettes but also won’t make a huge mess in the back seat. Homemade granola bars, cut-up fruits and veggies, applesauce pouches, and string cheese all fit the bill. And when you’re ready for a full-on meal, check out our favorite road food spots.